We all knew this year’s Easter Jeep Safari concepts would be Gladiator heavy, and sometimes I think the Mopar guys just like teasing us with these concepts. The J6 concept is something enthusiast have been asking for since well before the (4 door only) Gladiator was revealed last year; a two door regular cab Jeep truck. The bed appears to be the same 5ft unit that is the only option on the production Gladiator. 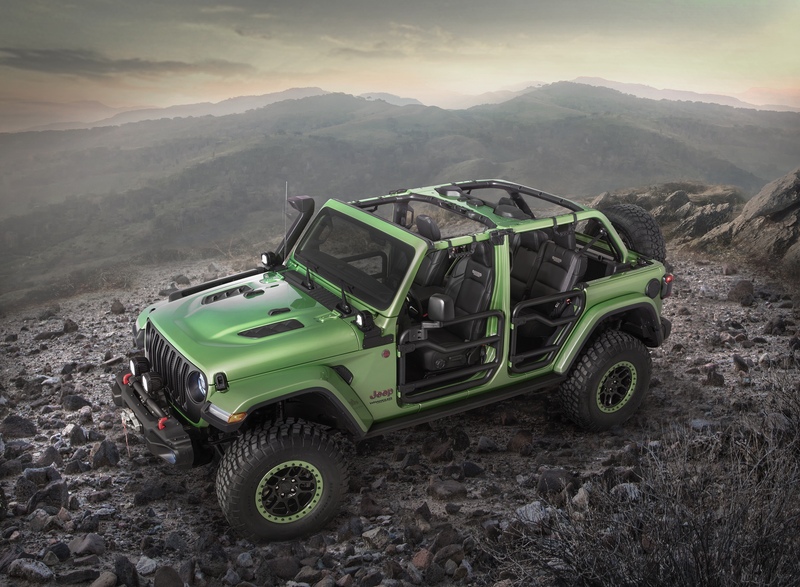 The bed mounted roll bar, and in-bed-spare tire mount are likely Mopar accessories that will be available for the production Gladiator. I am a big fan of the retro badging on the tailgate and hope to see those make an appearance on a special edition production Gladiator. I doubt Jeep is actually planning a regular cab Gladiator… but maybe AEV or other aftermarket manufacturers will take this queue and create a conversion kit.